In today’s hi-end roundup, we will be looking at five of the best acoustic guitars currently available. And then deciding which is the overall winner of the title The Best Acoustic Guitar on the market today. These guitars are suitable for professional players who work live and/or in the studio. But they are equally suited to amateurs, who are looking for a quality instrument. And are prepared to pay for the highest possible build quality and the finest tonewoods. We are only including guitars that are easily available. Therefore, custom built-to-order guitars and limited editions are not included. This is because they are not always or readily available. The Guild D-55 is a traditional-style, slim-necked, dreadnought acoustic guitar. And reflects nearly half a century of Guild’s master craftsmanship. It features an eye-catching solid AAA spruce top and breathtaking book-matched Indian rosewood back and matching sides. These not only look spectacular but give the guitar an unrivaled level of expression and melodic character. This D-55’s three-piece mahogany/walnut/mahogany 12″ radius neck and ebony fretboard make it a pleasure to play. With a slimmer nut accentuating the neck’s overall thinness. With regards to its profile, it’s more of a D than a C. This is superb for comfortable first-position chords, especially when aided by its impressively low action. Its Adirondack bracing is also doing its job perfectly. Improving string separation, general definition, and the guitar’s dynamic range. It feels loud, alive and resonant whether your playing soft or hard. The Guild D-55 offers superb quality craftsmanship and world-class tone. It’s a serious workhorse, and it will probably outlast and outperform any one of us. Obviously, it’s very highly recommended. Superb tones, whether you are strumming or flat-picking. Comfortable for guitarists with smaller hands. The neck won’t suit everyone, especially those who favor chunky necks. Many acoustic guitarists consider the Martin D-28 to simply be, the ultimate dreadnought. Martin’s incredible heritage of building the finest acoustic guitars in the world, for over 180 years, is without question. But is this re-imagining of the classic, as good as the guitars that created that legendary status? The latest D-28 features some vintage-style aesthetic changes, as well as forward-shifted bracing, and a wider nut. It features a Sitka Spruce Top, with East Indian Rosewood Back and Sides. The 25.4” scale length neck is made from selected hardwood, with an ebony fingerboard and 20 frets. Although heavily based on the original, it does feature a change to the neck design. This makes it one the most comfortable and accessible, dreadnought playing experiences you will enjoy on any guitar. The sound is well balanced and is exactly what you would expect from a high-end all-rounder. The notes have plenty of sustain and a clear, piano-like definition. While strumming, the highs and high mids have beautiful choral qualities that sit nicely with, but don’t overshadow, the lower mids. The D-28 is still one of the best acoustics available and continues to embody the dreadnought in look and sound. Legendary heritage still making this THE benchmark dreadnought. Enhanced look and feel of the original classic design. Forward-shifted bracing may not add enough bottom-end for some players. Gibson’s latest incarnation of its classic Hummingbird, the Hummingbird Studio combines the heritage and vintage construction techniques in an all-new model. It has a beautifully rich, and varied tone, thanks to its solid Sitka spruce top, walnut back and sides, and mahogany neck. The solid midrange, along with the treble tones that made this guitar famous are also evident. First released in 1960, the Gibson Hummingbird made a lasting impression for its neck design and overall playability. The Hummingbird Studio features that same classic neck with a few updates. The mahogany neck features an Advanced Response profile. This makes the guitar amazingly comfortable to play. The feel and response are further enhanced by the walnut fretboard. And, as with all guitars manufactured by Gibson, the Hummingbird Studio receives Gibson’s Plek treatment. This ensures uniform fret contour and placement. Therefore eliminating string buzz and delivering perfect playability. The guitar is a popular choice among a variety of players. It sounds great either strummed wide open with a pick or when played gently with the fingers. Making it an excellent choice for country, bluegrass, folk, or good ol’ rock ‘n’ roll. Ignoring the visual impact of the Hummingbird Studio is impossible. With its classic hummingbird pickguard, the same design as when it first appeared in 1960. It comes with excellent LR Baggs’s VTC acoustic pickup system. This system is known for its low-profile under-saddle transducer. Which is more stable and durable than most standard ribbon-type pickups. The pickups sleek design removes unnecessary internal components to enhance the coupling between the pickup and the guitar. This improves the sensitivity of the transducer. And produces a robust, lively, and natural acoustic sound, with excellent dynamics and delicate high end. Exquisite tonewoods – Sitka spruce, walnut, and mahogany. Advanced Response neck profile providing smooth playability. Plek’d fretting ensuring consistency and playability. LR Baggs VTC pickup system. The LV-03 was conceived from Jean’s Larivee’s desire to put the most exceptional quality high-end guitars into the hands of all guitar players. They are built in America to the highest possible standards using all solid wood construction. The Top is made from solid Canadian Sitka Spruce, with solid Mahogany back and sides. Although Rosewood is available for the back and sides as an option, for those, who prefer its darker tone and complexity in the bottom end. Larrivee also offers limited runs in other exotic hardwoods. The LV-03 features Larrivee symmetrical bracing and a hand-fit dovetail neck joint, for superior fit and sustain. Maple bound trim, herringbone purfling/rosette, and a satin finish are all standard features on the LV-03. It has a single piece, 25.5” scale length, mahogany neck, with an ebony fingerboard and bone nut. The headplate and bridge, are also made of ebony. The attention to detail is clearly evident wherever you look. But it isn’t just about the craftsmanship. The sound is also fantastic, with every string ringing at the same volume and expressing a brilliant tonal spectrum. The Larivee LV-03 truly stands out as an industry leader. Unlike most of the guitars in this rundown of the best acoustic guitars, the Larivee LV-03 is available in all body styles. Available in all body styles and as a 12 string. Doesn’t have the heritage and brand recognition of other guitar brands – yet! And finally, to mix things up a bit we go for a guitar that isn’t manufactured in the United States, which isn’t natural in color and has twice as many strings as the others. The made-for-the-stage, glossy black Takamine EF381SC 12-stringer. This 12-String acoustic-electric dreadnought is handcrafted in Takamine’s famous Pro Series facility. Which has been building precision-quality instruments, for well over five decades. The versatility that this guitar offers begins with its solid spruce top and the maple back and sides. These are a perfect reflector for the tone generated by the soundboard. And combine to produce sounds that work equally well for sweet, glossy passages as they do for power chords. The mahogany neck, featuring a rosewood fingerboard, is joined to the body with a traditional, ultra strong dovetail joint. As for the electronics, the EF381SC 12-String uses Takamine’s CT4B II preamp system, which is paired with the unique Palathetic under-saddle pickup. The highly acclaimed preamp system provides three-band EQ, volume control and a built-in tuner to make sure that you always sound your best. In terms of pure sound, the rest of the guitars in this review are better, but who said that the best acoustic guitar was only about sound. If you want to look incredibly cool on stage, then this is definitely the best acoustic on the market today. Won’t hold its value like the other guitars covered. Why are the best acoustic guitars more expensive than others? Acoustic guitars obviously vary in price. Ranging from the cheap starter acoustics to the high-end models, that will be fighting it out to be the best acoustic guitar, in this rundown. But what exactly makes two guitars that look almost identical, have such a vastly different price tags? The most important factor influencing the price is where and how the guitar is made. If, for example, a guitar is handcrafted in America, as opposed to being factory-built in the Far East, you’ll understandably pay a lot more for the instrument. The choice of wood is the next important aspect of a guitars price. Hi-end makers are incredibly selective with their choice of woods. Not only what woods they use, but down to the actual pieces of wood. These are specifically chosen when they receive shipments for use on their more expensive instruments. The actual rarity of a particular wood as well as the amount of figuring or detail in its grain will also affect the price. The final factor that affects the price of an acoustic is, of course, it’s brand. The best acoustic guitar brands have a rich heritage of producing amazing instruments. And are therefore worth paying a premium for. The manufacturers are fully aware of this and charge accordingly. The actual design of the guitar has very little to do with the cost of acoustic guitars. Let’s be honest, the design of a $3000 instrument, is very similar to the design of a $300 instrument in the majority of cases. As explained it’s the craftsmanship, choice of woods and the brand that you are paying for. Which tonewood is the best? This is of course down to personal taste and will vary from player to player. Choosing the right tonewoods for your guitar will depend mainly on the kind of sounds you like and how you play your guitar. Fingerstyle players, for example, will want a wood that responds to their delicate playing, as opposed to a wood that requires more force to fully resonate. Luthiers believe, that the choice of wood for the top of an acoustic is by far the most influential tonal factor. This, more than anything else will determine what the instrument will ultimately sound like. The back, the sides, and the neck are the next most important in creating the overall tonality. The woods used for other parts of the guitar’s body, such as the bracing, binding, bridge, and fretboard are also important. This is because they can either enhance or constrain the tonal effects of an acoustic guitar’s other woods. Although they generally don’t define the sound of an instrument. Let’s now consider the tones and advantages of each of the common tonewoods..
Sitka Spruce is one of the most widely used hi-end tonewoods for a guitar’s top. It has a powerful direct tone capable of retaining its clarity when played forcefully. Making it the natural choice for high-velocity players. Cedar is also popular for the guitars top wood because of its balanced, warm sound. Fingerstyle players in particular like it, because for its quick, rich response to lighter playing styles. Mahogany has a relatively lower response rate than other woods used for tops. With medium density, and a low overtone content. It produces guitars that have a strong, punchy tone that is well suited to country blues playing. When used for the back and sides, mahogany has a relatively high velocity of sound, which contributes to a lot of overtone coloration. Maple tends to be more acoustically transparent due to its lower response rate and a high degree of internal damping. This allows the tops tonal characteristics to be heard, without the addition of significant tonal coloration. Known for its high response rate and wide range of overtones, Rosewood is also characterized for strength and complexity in the bottom end. This produces an overall darkness of tone in the rest of the range. But Rosewood also features strong mids and highs, which contribute to the richness of tone in the upper registers. What should you look for in an acoustic guitar? Acoustic guitars are available in a variety of sizes and shapes, from small travel guitars all the way up to jumbos. The guitars body style determines its sound projection and tonal emphasis. Some come in a single cutaway design giving more comfortable access to the upper frets. Many acoustic guitars come with built-in pickups and preamplifiers. Some instruments have preamps mounted in the side of the instrument. While others mount the electronics inside the soundhole. These allow the acoustic to be amplified. Either directly through the PA at live concerts, through a DI in the studio, or through an acoustic amplifier at home. They also allow the acoustic to be used with different effects. If this is of interest to you, please check out my feature on the best acoustic guitar pedals. So there we have them. In my opinion, the five best options if you’re looking to buy the best acoustic guitar currently on the market. Any guitar player would be proud to own any of them. But which guitar is my personal favorite and the winner of this review?. Unsurprisingly, it’s the Martin D-28. It’s by far the best all-rounder here, and to be honest the best all-rounder anywhere. You can use it for any playing style as well as any musical style. 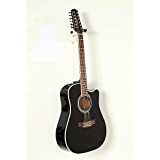 Incredible build quality, unrivaled heritage, ease of playability and that incredible sound give it the well-deserved title of Best Acoustic Guitar. That said, the Guild D-55 and the Gibson Hummingbird Studio were close behind it. With the Larrivee close behind them. The Takamine is also excellent, but for very different reasons to the rest. Therefore, if you’re looking for the ultimate acoustic instrument, the choice is simple, get a Martin D-28, they are simply fantastic.